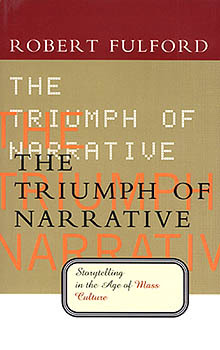 Robert Fulford's The Triumph of Narrative is a great book that I have borrowed from my local library. Among other things, it has made me think a lot about my grandmother who turned 94 in March this year and who has always had many stories for me, and still does, told in a language powerful even though, and perhaps because, it is not her first. It was my grandmother's determination in her challenging life that first made me consider writing a book more than 15 years ago. It's still on my mind, and I have made some tentative starts at different points. For various reasons I have not pursued it any further. 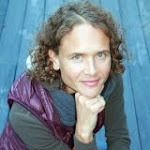 But, as Lawrence Block says in Writing the Novel: From Plot to Print, "Writing the book is an organic process, and we carry the book with us wherever we go." I have been carrying the idea of a book about my grandmother for a long time and it is now in the forefront of my mind as I am wondering again if and how I should tell her story. As a longtime journalist I have always thought that I needed to verify the authenticity of my grandmother's many great and dramatic stories. But now I realise that stories can just be told as stories for their own sake, just as long as we do not pretend them to be anything they are not. When I returned from the Netherlands, Fulford's book spoke to me from the library shelves so I brought it home and highly recommend it.